Join CHSA May 18, 2019 for “The Chinese & the Iron Road Symposium”! This day-long event will commemorate the 150th anniversary of the completion of the U.S. Transcontinental railroad, and the integral role that Chinese workers played in its construction. This program also serves as the launch for CHSA’s upcoming book, Voices from the Railroad, which has been expanded and updated from its original 2014 edition. 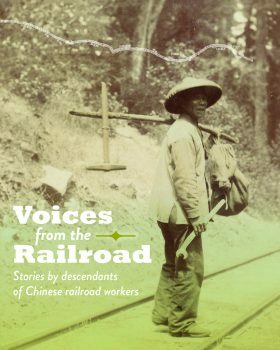 Co-edited by Sue Lee and Connie Young Yu, the new book will feature first-hand narratives by nine descendants of Chinese railroad workers. 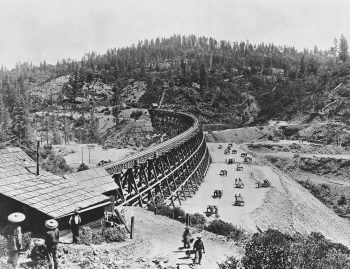 Carleton E. Watkins (1826-1916), Filling in Secret Town Tressle, CPPR, Cal. View of railroad bridge and trestle in Secret Town. Chinese railroad workers in left foreground. 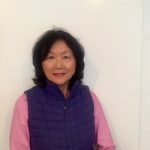 Connie Young Yu is an independent historian who has written extensively about early Chinese America for exhibits, documentary films and books. She is the author of Chinatown, San Jose, U.S.A. A fourth generation Chinese in America, she is a descendant of a worker on the Transcontinental Railroad. She conducted oral history interviews of descendants of Chinese railroad workers for the Stanford Chinese Railroad Workers of North America Project. 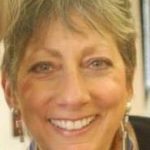 She is co-editor with Sue Lee of the new book, Voices from the Railroad, a collection of nine articles by railroad worker descendants. Connie will share some of the illuminating stories by descendants that reveal the struggles and triumphs of the Chinese who came to work on the Transcontinental. She will also talk about her own intriguing search for the legacy of her railroad ancestor, Lee Wong Sang. Susan Ishkanian, AIFD is a freelance floral designer in the Bay Area. During the past 15 years, she has focused on corporate events and large-scale weddings including in Belgium and Mexico. In 2002, she was inducted as a member of the American Institute of Floral Designers (AIFD). She serves on several boards in the floral industry and is committed to education including floral demonstrations and hands on workshops to share her knowledge and experience. Currently, she is on the National Board of AIFD as Industry Partner Chair for their upcoming symposium in Las Vegas. Most recently, she has designed floats as a member of the design team for Fiesta Floats in Irwindale, California and this last January she served as lead designer of the Rose Parade float commemorating Chinese workers who worked on the transcontinental railroad. 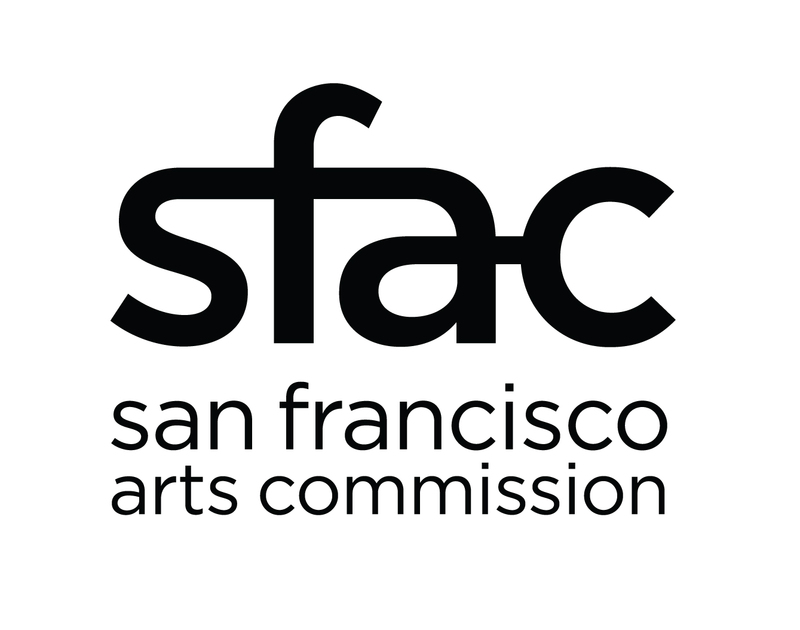 Barre Fong is a fourth generation Chinese-American and San Francisco native. Barre’s activities as a filmmaker and community activist is an embodiment of his grandfather’s dream of preserving his own experience as a turn-of-the-Century Chinese immigrant. Barre continues to live in San Francisco with his wife and two children. 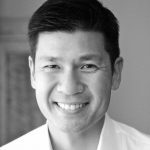 He previously served as the President of the Board of Directors for the Chinese Historical Society of America and currently serves on the Board of Trustees of Lick-Wilmerding High School. He has produced and directed short films about the Asian American experience since 2013. His 2016 film, Digging to Chinatown was well received. 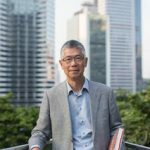 Gordon H. Chang is professor of history at Stanford University and the Senior Associate Vice Provost for Undergraduate Education. He studies the history of America-China relations and Asian American history. Among his publications are Friends and Enemies: The United States, China, and the Soviet Union, 1948-1972; Morning Glory, Evening Shadow: Yamato Ichihashi and His Internment Writing, 1942-1945; Asian Americans and Politics: Perspectives, Experiences, Prospects; editor with Judy Yung, Chinese American Voices: From the Gold Rush to the Present; editor with Mark Johnson and Paul Karlstrom, Asian American Art: A History, 1850-1970; and Fateful Ties: A History of America’s Preoccupation with China. He co-directs the Chinese Railroad Workers in North America Project at Stanford and has just published two books: The Chinese and the Iron Road: Building the Transcontinental and Ghosts of Gold Mountain: The Epic Story of the Chinese Who Built the Transcontinental. Chang was raised in the SF Bay Area and is the nephew of Alice Fong Yu.